HBO: Carrie Fisher in Wishful Drinking Where Would Carrie Fisher Like to Be Right Now? Find Out! What is Carrie Fisher's Favorite Movie? Find Out Now! Finally, after four hit novels, Carrie Fisher comes clean (well, sort of) with the crazy truth that is her life in her first-ever memoir. 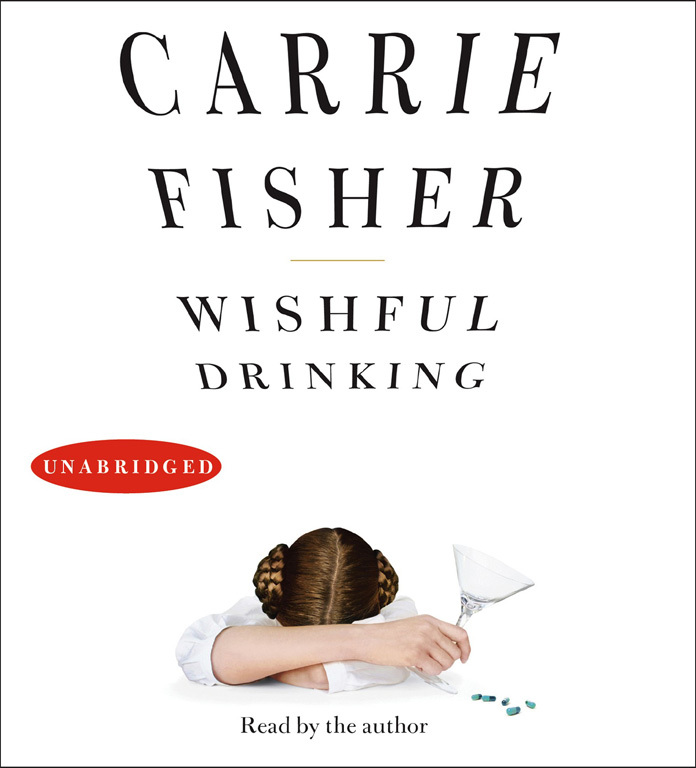 In Wishful Drinking, adapted from her one-woman stage show, Fisher reveals what it was really like to grow up a product of "Hollywood in-breeding," come of age on the set of a little movie called Star Wars, and become a cultural icon and bestselling action figure at the age of nineteen. Wishful Drinking, the show, has been a runaway success, Entertainment Weekly declared it "drolly hysterical" and the Los Angeles Times called it a "Beverly Hills yard sale of juicy anecdotes." This is Carrie Fisher at her best -- revealing her worst. She tells her true and outrageous story of her bizarre reality with her inimitable wit, unabashed self-deprecation, and buoyant, infectious humor.